 32 years Journeyman and 20 years supervisor for West Side Electric.  Annual continuing education in electrical code, safety, new products and technology. How long have you worked at West Side Electric Company Inc.? 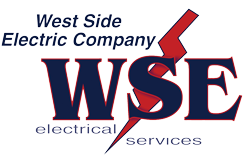 I completed my apprenticeship with West Side Electric, and have worked for the company ever since. I started working at West Side Electric 2 years prior to the second generation owner Karl Jensen and have had great mentors to follow. Now it’s my time to share. 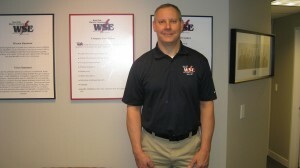 I genuinely like helping customers and West Side Electric’s commitment to quality and service. We work for a lot of customers who are used to the “Nordstrom’s” level of service and that is what I personally, and we provide. The variety of challenges each job presents. I’ve worked on everything from simple breaker panel change outs, to commercial/industrial projects to multi-million dollar new homes. Each job is an interesting challenge and there is always new technology to incorporate in each project. Tell us how you’re ‘connected’… to our customers and to our communities. Most of my projects are longer in duration and I have a lot of opportunity to interact with the owner of the project. We usually continue to do service for the owner after the project, and I have built many relationships with those owners over my 32 years in the business. Most call me directly on my cell phone when they need service. The customers become professional friends. In community and industry, I have been involved in IBEW apprenticeship programs, and am a youth leadership volunteer in my church, as well as youth sports coach.